1. 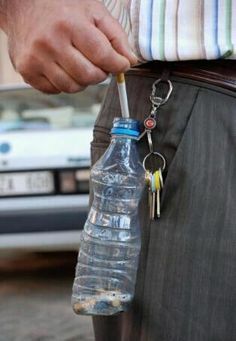 Rig a keychain to a disposable plastic bottle, 2. Use it as an ash tray.